Fontana Public Library is a member of the Lakeshores Library System and SHARE Consortium, which consists of 28 libraries in Walworth, Racine, Kenosha and Rock counties. We are located at 166 Second Ave, which is the lower level of the Fontana Village Hall (on the corner of Hwy 67/Valley View Dr. and Second Ave). Parking is available on Second Ave, with handicap parking in the village hall lot and elevator access through the village hall lobby. The Frog Contest has ended. Thank you to everyone who submitted an entry. Winners will be announced later in April. Please be patient. A reception has been planned for May 11th. All entry will be on display in the library during the month of May. Please mark you calendars–we hope to see you. PLEASE SAVE AND DONATE YOUR DANIELS SENTRY GROCERY RECEIPTS. Daniel’s Sentry Foods will donate 1% of the total from receipts collected. Receipts need to be donated within 4 months of the purchase date to be usable. Money received from Daniels’ go toward library programs and events. 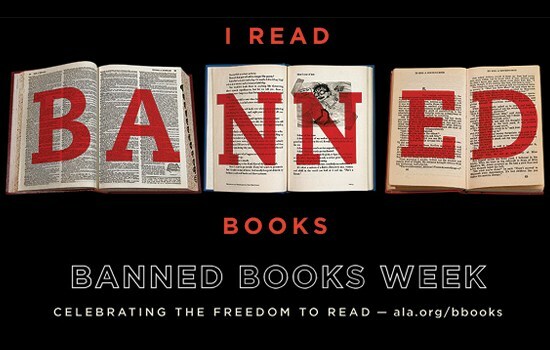 The library recognizes Banned Book Week in September 2018. Your words have the power to challenge censorship. Out of the hundreds of challenges ALA records every year, only about 10% of the books are removed from communal shelves, thanks to local literary champions such as librarians, students and patrons. 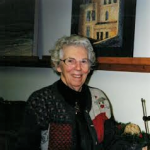 Grace Mary “Sue” Koepsel served as the director for the Fontana Public Library for 50 yrs. She was especially proud of her work spearheading a renovation of the library in 80’s. Sue served as the village historian after retiring from the director’s position, and was named Fontana Citizen of the Year. 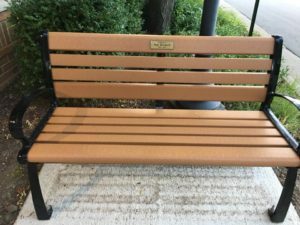 We are honored that the family asked that memorials be made to the library in Sue’s name, which we will be used for further growth and development. 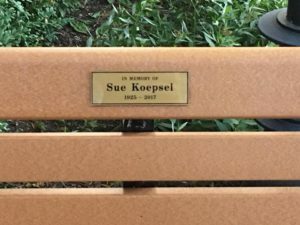 The library now has a new bench in memory of Sue Koepsel. We would like to thank her friends and family for their donations. New Library Catalog, SHARE, is up and running! Rock County, WI – January 11, 2018 – The seven public libraries in Rock County, which comprise Arrowhead Library System (ALS), are proud to announce the completed launch of SHARE–the new library catalog and account portal–and the BookMyne app. SHARE and BookMyne are now available at Clinton, Beloit, Eager Free (Evansville), Edgerton, Hedberg (Janesville), Milton, and Orfordville Public Libraries. In late 2017, ALS joined the SHARE Consortium, a partnership with Lakeshores Library System (LLS) and Kenosha County Library System (KCLS) focused on creating a massive, comprehensive shared collection and reducing operating costs through resource sharing. Libraries in Rock County recently completed automation software upgrades to join LLS and KCLS on the common system which handles the consortium’s catalog (SHARE), circulation, and accounts, thereby launching SHARE in Rock County! Other exciting changes include the introduction of text message notifications and revisions to policies pertaining to card expirations, inactive account deletions, late fees, grace periods, and more–some policies vary by library. The biggest change may be how powerful your local library card has become! 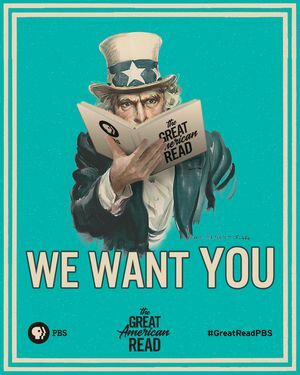 The very same library card you’ve been using at the seven Rock County libraries is now accepted at 28 public libraries throughout the counties of Rock, Kenosha, Racine, and Walworth–plus, two free online digital libraries (Hoopla and Libby (OverDrive)). Items from all of these appear in SHARE search results and can be delivered to your local library or mobile device at no cost to you. The collection you have direct access to has grown from 750,000 items to more than 2.15 million! If you can’t find what you’re looking for on SHARE, ask a librarian if it’s available through interlibrary loan. SHARE is bigger, faster, and more accessible than ALS’s previous catalogs. There are several ways to find SHARE: on a catalog search station in the library, from your library’s website, at sharelibraries.info, or through the BookMyne app. Log in to place or suspend holds, renew items, pay fines, edit contact information, reset a PIN, join the Favorite Author Club, manage digital checkouts, and update your notification preferences. SHARE now offers text message notifications–sign up must be completed in person. If you use an assistive device online or have a SHARE question, catalog help and accessibility options are available 24-hours-a-day, 365-days-a-year directly from SHARE. To get help, click the question mark icon. To enable Accessibility Mode, click the International Symbol of Access (wheelchair icon). Both icons are located in the upper right corner of the SHARE window. Library staff is also happy to help! Wi-Fi Available — The library also offers 6 public computer stations with printing capabilities.